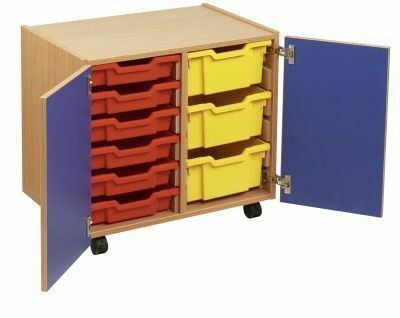 Ideal for use in schools this contemporary double column mobile storage unit features coloured doors with contrasting handles, 32 tray colour options and is available as standard with 12 shallow trays. 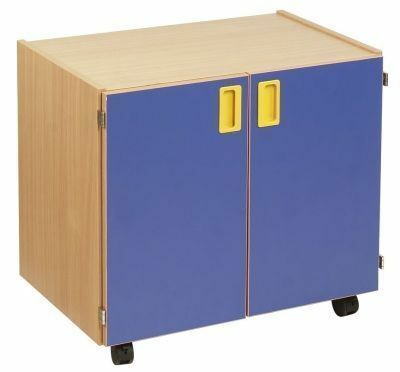 Constructed from 18mm thick MFC with a choice of Beech, Oak or Maples finishes and seated on 4 easy glide castors. For 3 or more combinations please speak to us. Free UK mainland delivery. Lead time 7 - 10 days.